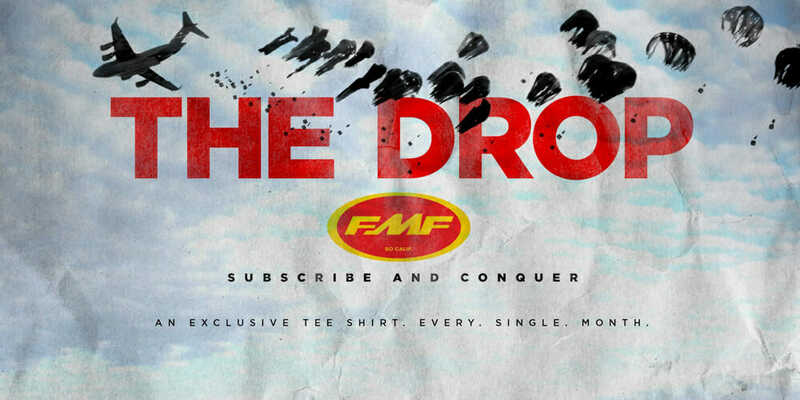 FMF Racing announces a new subscription service that includes an FMF T-shirt that will never be released to the public, and each Drop box will include a special surprise, such as limited-edition stickers, autographed posters and other accessories. The next Drop ships on February 14, 2019. Attention Earthings: Company 73- Incoming Transmission- Orbital FMF DROP Imminent. Exclusive tee shirt every single month from your friends at the Flying Machine Factory. 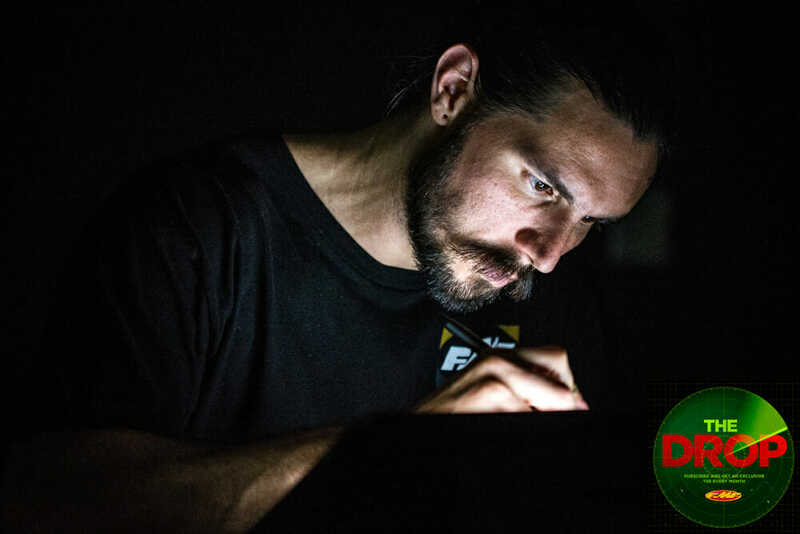 As part of the ultra – exclusive FMF DROP Subscription service you will receive FMF tee’s that WILL NEVER be released to the public, that’s right NEVER! Get a jump and get the DROP on the coolest gear on two wheels. A tee shirt, every single month! 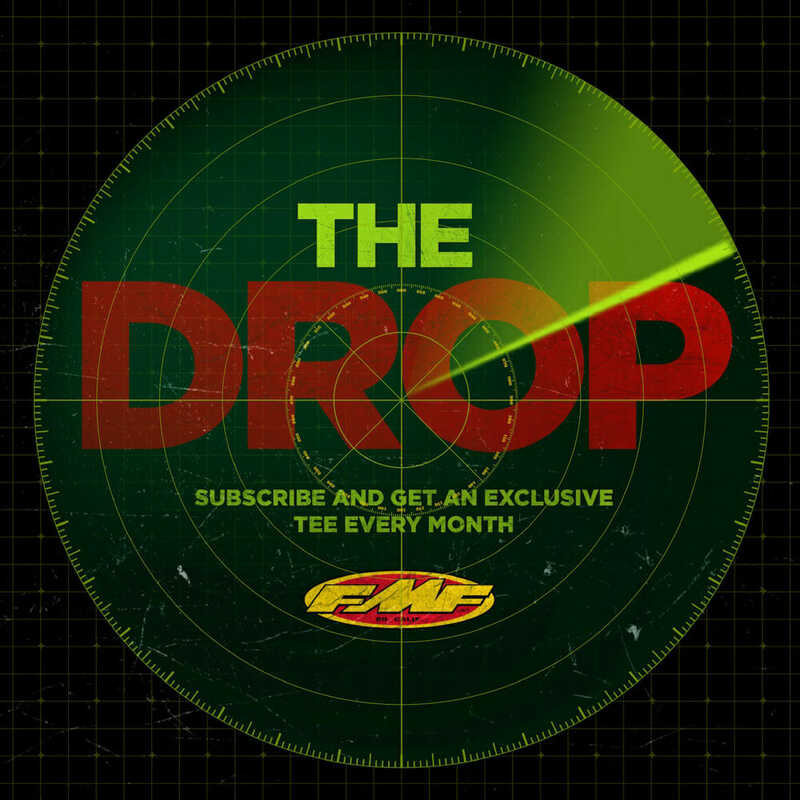 Sign up for the next DROP shipment before January 31, 2019 to receive your Exclusive Merch. $29.99 per month plus $5 flat rate charge for shipping anywhere in the USA. 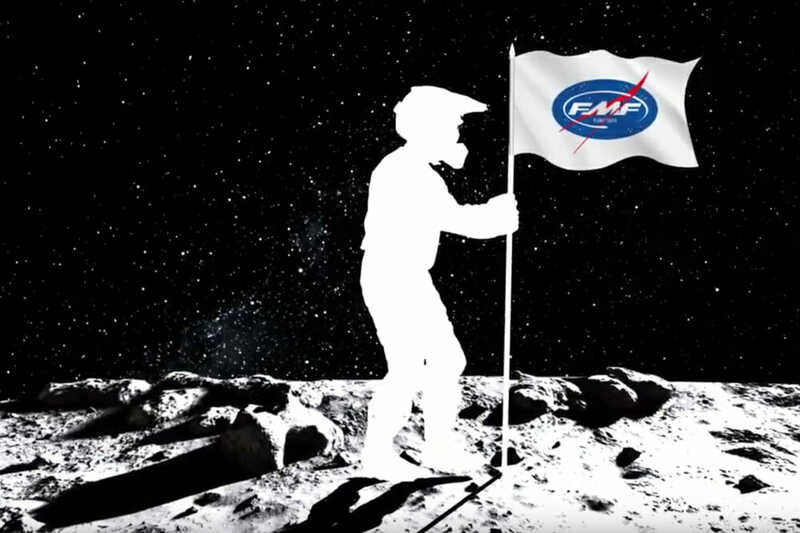 Visit www.fmfracing.com for more info.